The Aries New Moon is the first New Moon of the natural year! It occurs on April 18th, 2015, at 11:57 am MST at 28 degrees Aries. Here’s the chart: AriesNewMoon2015. This New Moon carries a powerful ‘slow burn’ energy pattern that wants to establish and secure what’s been recently begun (November 2014 and January 2015) so that it will not only survive but ultimately thrive. This New Moon juxtaposes opposite Yin and Yang energies. Aries energy is quintessentially Yang, instinctively initiating actions that create new directions and new beginnings in life. However, Mars, Aries’ ruling planet, is currently in Taurus, a pure Yin energy that deliberately slows action and consolidates forces to ‘ground’ new beginnings and manifest them into physical reality. What Aries begins, Taurus establishes and stabilizes. The coming month will require patience as well as the ability to act spontaneously as alternating energies both drive you to action and draw you to stillness. To successfully combine the best of both Yin and Yang influences, allow your intuition to be your guide. By listening to your inner guidance, you’ll know when it’s time to act and when it’s time to wait for further insight or understanding before moving forward once again. The Sun enters Taurus on April 20th increasing the consolidating and stabilizing forces available to nurture what’s new. This is the time to ‘transplant’ your ‘seedlings’ into a loving ‘garden’ where they’ll put down roots that will sustain their continuing growth. As thoughts increasing turn to matters of security, invest in what’s most meaningful and valuable to you, including your self! Make the effort now to nurture and steadfastly care for what’s really important in your life, knowing that if you do the work, Autumn will bring an abundant harvest! Indeed many recently initiated goals and projects embody high-minded spiritual values and universal principles. It’s really crucial now to ‘walk your talk.’ Let inspiration be your guide. Keep moving forward – ONE STEP AT A TIME – implementing necessary actions in pursuit of noble and worthy personal, professional and spiritual goals. This advice may seem counter-intuitive to those who follow in lock-step with mainstream ideas and expectations especially when it comes to ‘conventional wisdom’ about how to develop a business, pursue meaningful goals or invest in personal growth. However, those who are wise know that the r-evolutionary influence of Uranus square Pluto is still quite active, and will continue to be so for several years to come. In fact, ironically, now that the seven precise square aspects between these two are finished (June 2012 to March 2015), their peak influence has really just begun. Progress now requires that we break free of old paradigms, particularly patriarchal paradigms that favor exclusion over inclusion, self-interest over sharing, hierarchy and control over equality and fairness. Perhaps even more important however is a shift away from an almost exclusive left-brained, deductive way of thinking that has long favored logic over intuition and ‘cold hard facts’ over dreams. Of course it’s always wise to stay tethered to reality, but equally important is the power of our right-brained holistic, intuitive thought processes that see beyond the limitations of the physical world. Our right brain sees the whole picture – not just the parts, and can conceptualize and imagine what’s possible, not just what’s practical. Intuition and imagination are the fuels that manifest our dreams. Pluto just stationed retrograde on April 16th. It’s still ‘stationary’ or appearing to stand still in the heavens from our point of view here on Earth. Stationing planets are super powerful. Pluto symbolizes the Soul and the evolutionary process. Until September 24th, Pluto retrograde will encourage a review of our Soul’s deepest desires. Pluto retrograde in Capricorn (structures) will bring our attention to the nature of our current realities. 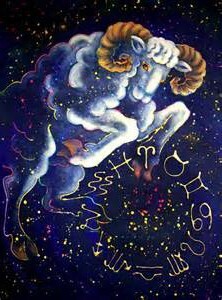 Capricorn rules the structural nature of human consciousness. Consciousness creates reality. Between now and September, we have an opportunity to honestly self-reflect upon what’s working and what’s not working in our world. Want an example of how our consciousness, individually and collectively, creates our realities! Consider how all of us are conditioned, almost from birth, to be afraid. We’re taught to be afraid of power and authority, of losing our jobs, or not having adequate insurance, or losing our investments or even a loved one. We’re taught to be afraid of strangers and of people from cultures that are different. We’re taught to fear disease and identity theft and even asteroids that could destroy the planet! For heavens sake, if you watch the news, you’re probably terrified on a daily basis! Now consider how much ‘terrorism’ there is in our world. This is NOT a coincidence. Or to be more precisely accurate, I should say that it is indeed a ‘coincidence’ (coinciding incidents)! Global terrorism is simply a reflection of the quality of our individual and collective consciousness. Global terrorism is an outer manifestation of our inner terror and fears. Pluto also symbolizes power and learning the right use of power. As humans, our greatest power is our power to co-create which we do in nearly every waking moment through our free will choices. The choices we make inherently reflect the quality of our consciousness. Free will choices co-create our reality, consciously and unconsciously and facilitate our ongoing evolution. The really awesome power of free will choices is when choices are made CONSCIOUSLY, not unconsciously. Clearly its time to reclaim our power and use it consciously to co-create what we WANT, not what we don’t want! So consider that the best use of this retrograde period is to take complete responsibility for what you’re co-creating in your life. If you’ve experienced it, you can be sure that your consciousness helped to co-create it. Pluto retrograde in Capricorn is a chance to re-empower your self by CONSCIOUSLY CO-CREATING your realities. Of course in order to succeed at co-creating more desirable realities, you must determine what part of your consciousness (thoughts, beliefs) has been responsible for creating the reality or experiences that you don’t want or that’s no longer working or serving you. The ultimate evolutionary lesson of Pluto in Capricorn is realizing that to change your reality, you must literally change your mind! Mars, the ruling planet of this Aries New Moon, currently in Taurus, just sextiled (60 degrees) Neptune in Pisces and squared (90 degrees) Jupiter in Leo. Together, these aspects provide the ‘juice’ to overcome the doubts of naysayers (including our own inner critic) and truly believe in your self and your dreams. It’s time to reach higher and see farther, trusting your Higher Self to guide and inspire you to create what really matters. It’s time to realize (make real) your greatest Soul level desires. Its time to manifest your greatest personal potential. Further favorable support for your efforts is an upcoming waxing trine aspect (120 degrees) between Mars and Pluto on April 21st. Mars and Pluto are a natural planetary pair. Astrologically, Mars is known as the lower ‘octave’ of Pluto. Again, Pluto symbolizes the Soul and its deepest desires, which for most of us reside at an unconscious level. Mars instinctively acts upon our Soul’s deepest desires. Mars trine Pluto reflects a tremendously positive and beneficial planetary influence that brings rewards for past efforts while simultaneously empowering current efforts. Mars can act successfully now to manifest what really matters most. Mars trine Pluto is an awesome invitation to evolve forward in leaps and bounds relative to your Soul’s evolutionary growth intentions in this lifetime! The Taurus New Moon occurs on May 17th at 9:13 pm MST! This entry was posted in Planetary Events and tagged Aries, beginnings, confidence, consciousness, initiation, instinctive action, Mars, meaning, Pluto, retrograde, stabilize, Taurus, values, yang, yin. Bookmark the permalink. Taurus New Moon: Miracles Grow!